Perfectly brewed iced tea doesn’t just happen on its own. 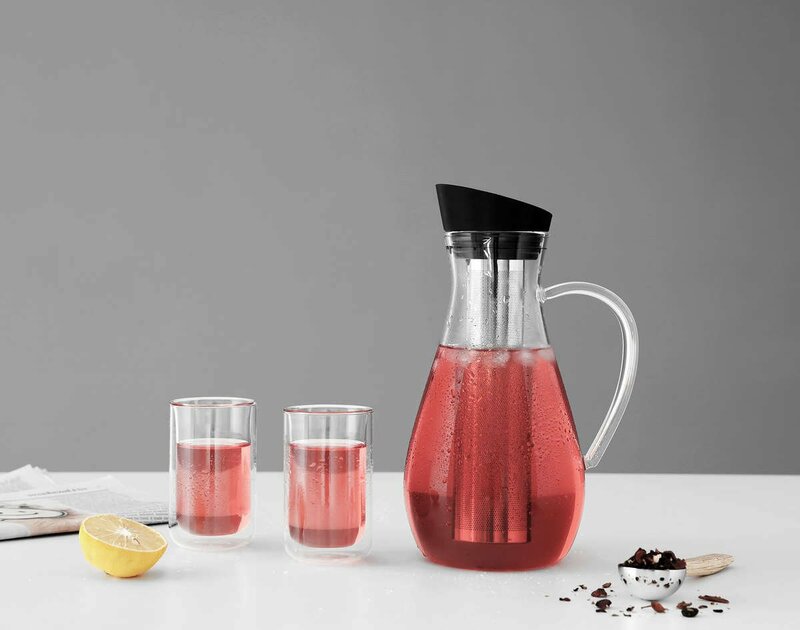 For true perfection, you need the thoughtfully designed Infusion Iced Tea Carafe. Enjoy the sensory experience of seeing your tea infuse. Then pour yourself a glass and bask in that sunshine. Size: L: 14.8 cm - W: 11.0 cm - H: 25.0 cm - Vol: 1.40 L / 47.00 fl. oz. 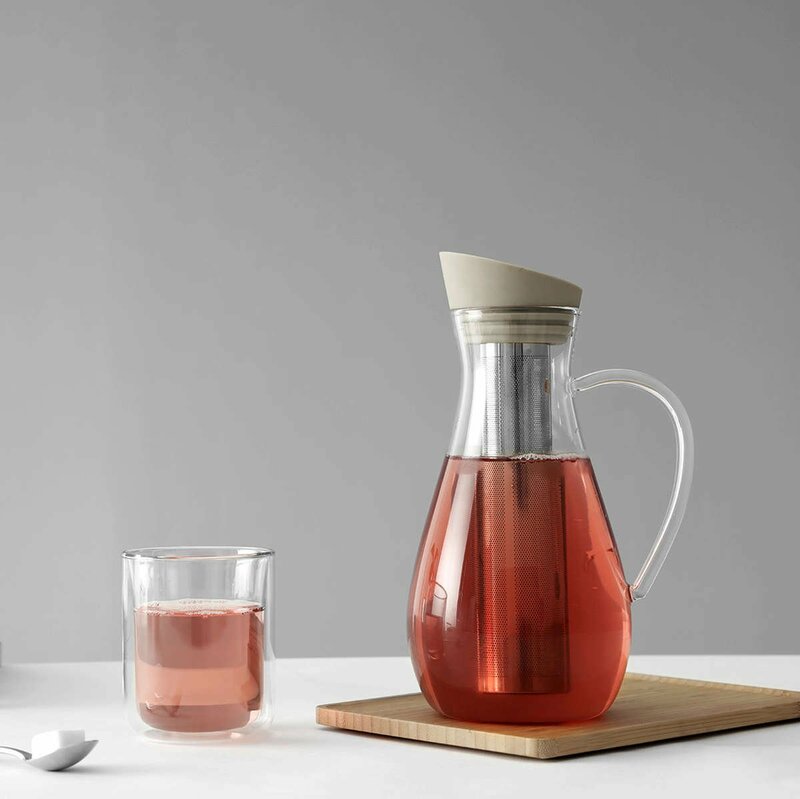 The wide mouth and neck make it easy to keep the Infusion Iced Tea Carafe looking its best. Our specially made Vitriluma borosilicate glass is the same type of glass used for high-end cookware and lab equipment, so you can be sure it won’t dull, mark or discolour easily. And of course, it’s 100% dishwasher safe. How many glasses of tea can I make? 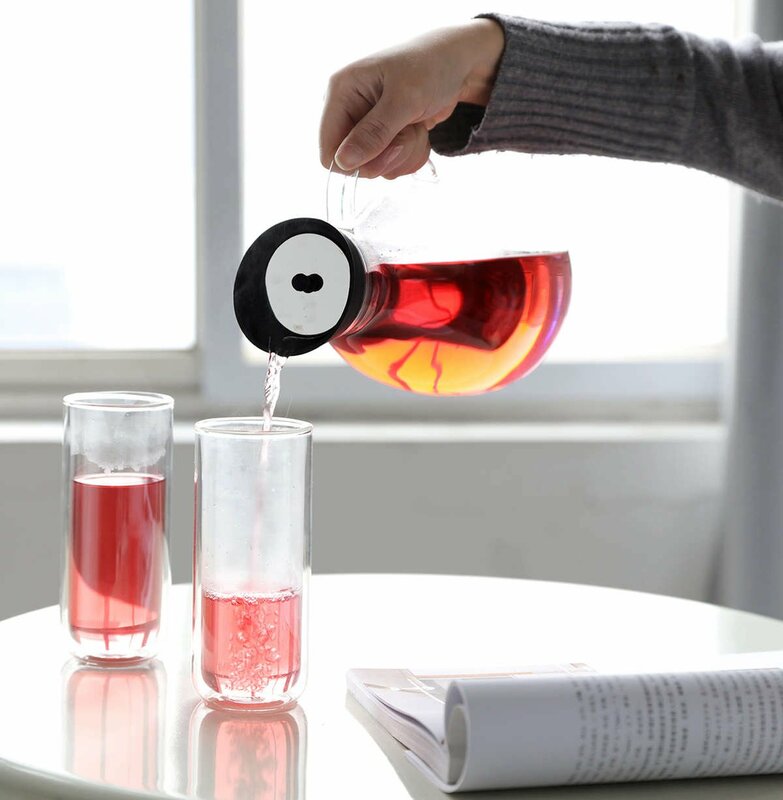 The Infusion Iced Tea Maker will yield around four to six glasses of iced tea. Enough for an afternoon spent relaxing in the sunshine with a good friend. Will this fit in my fridge door? The widest part of the jug is 11 cm wide, about as wide as a Champagne bottle. This will fit snugly in most refrigerator doors. The strainer basket detaches quickly and easily from the lid. This means you can use the carafe to make your favourite fruit infusion like blackcurrant and mint, coconut lime, or the summer classic - Arnold Palmer. And not only is it easy, your drinks will look more fabulous than ever. Summer here we come! The cap is made from our own premium quality food safe silicone, Istoflec. This means it’s completely safe for you and your family, and well as being dishwasher safe and BPA free.